Feeling worthless and very small caused me a lot of pain all of my life. That feeling was caused by how the world I lived in viewed me, how my parents related to and treated me, and the choices I made throughout my life up to that point. The choices I made the first 32 years were made with what I had learned and experienced. My attitude was one of a victim. The world was against me and out to get me. Happiness was what I was looking for and just could not find. I looked for it in all the wrong places. I tried to find it by outer appearance, social contacts, saying and doing what I thought other people wanted to hear or have me do. I worried about what people thought of me. In other words, I lived a lie and did not even know it. Joining the Church of Jesus Christ of Latter-day Saints and embracing the gospel of Jesus Christ opened my eyes, mind, and soul to the truth that would help me find the happiness I was looking for. I did not understand it all at once. I started to read the scriptures and church books and attended sacrament meetings and all related functions. It was a slow process because of my dyslexia and the inability to read well and comprehend things quickly. I knew that if I stuck with it, I would eventually succeed and succeed I did. Each day that I read and studied I learned a truth, however small. To understand that Jesus Christ loved me unconditionally, that I was of divine heritage, and that I had chosen to come to earth to learn and choose good over evil were hard concepts for me to grasp. It sounded so great and comforting, but my 32-year-old tapes in my head played a different tune, always reminding me that I was not worthy of such a gift. I wanted to be loved; I wanted to belong to that heavenly family! With that came a new struggle, a new pain, a new feeling. If my family and the world around me could not love me, how could God love me? Every time I got a glimpse of what that love was all about, and I could imagine the feeling just ever so little, my mind would play the worthless tape and the pain would start all over again. With that pain, I sunk into a deep depression, and the darkness of loneliness and abandonment became my companions. I had made a decision that no matter what it would take or what I had to go through I would never turn back to where I had been. Going back meant to be in pain forever, fighting to move forward meant that I would someday be out of pain. So I fought the depression by hearing the word and promise in my head that I read about in the scriptures, conference talks and other church related books. 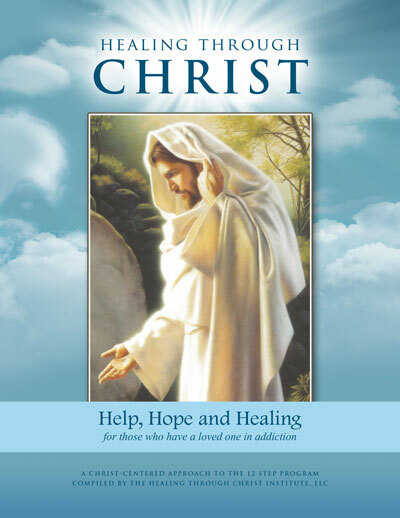 I took the words of the Lord Jesus Christ to heart and let them begin to heal me. One thing was in my favor: I believed the Lord’s promises with all of my heart, mind and soul. That’s what gave me the strength to put one foot in front of the other and draw closer to the Lord and His love and forgiveness. How can I trust I am receiving communication from God? What can I do to allow God to calm my soul? God brings peace, truth, and great worth to my soul when He speaks to me. I have an inner trembling and it becomes more visible when I am in an uncomfortable position. How do I discover the cause of my inner trembling? What can I do to calm my soul? The earth is covered with snow and ice, the trees are barren, the sky is a light blue. In the distance is a circular golden glow, with white beams reaching heavenward. The wind is quiet and asleep. The earth is still one would think; however, quietly and so subtly the snow is melting and slipping away into the earth. The height of the snow is shrinking, ever shrinking. Calm is upon the land, radiating its own beauty to be appreciated, reminding me there is a season, a time, a moment to be still – reflect – enjoy – partake of the quiet whispering nature brings – reminding me in oh such a quiet way God is near. Breathe in His strength. Breathe in His love. Breathe in His comfort. He is near. Choose to reflect, rejoice, and partake of all He has to offer. God does live! My willingness to follow God’s guidance connects me to His ability to act in my behalf. Be Still! Like the wintry morning allowing me to choose to have the frozen crust melt away. Away from my heart! Away from my soul! Away from my mind! Away! Away! Away! Ever Away! God bless me this day I pray!!!!! When I started participating in Healing Through Christ, I quickly felt my burdens become lighter as I allowed the Savior to carry them for me. I felt so much relief and happiness. I mistakenly thought I was completely healed! It was only a short time before negative emotions started to creep back into my life. Despite my disappointment that overcoming my trials wasn’t going to be as simple as I thought, I found comfort in Alma 36:27, “I have been supported under trials and troubles of every kind, yea, and in all manner of afflictions; yea, God has delivered me…and I do put my trust in him, and he will still deliver me.” I had felt God’s guidance and love in my life up to that point, and I knew that He would continue to be with me. I knew I could trust Him to support me in all my afflictions. I learned that healing takes time, patience, and endurance. I now recognize that I need the Atonement every day of my life. It’s more than a one-time application. However, because of Healing Through Christ, I have wonderful tools to help me turn to the Savior for help with the trials that I face. Through working the steps of Healing Through Christ, I’ve learned the value of keeping a journal. Praying for inspiration and then writing down my thoughts is a powerful way to recognize and record promptings from the Holy Ghost. One of the best tools that I’ve gained is the practice of writing a fear list. Step Two suggests that we make a list of all our fears. “We write beside each fear on our list, ‘Even if this happens, I will be alright because my Savior will always sustain me.’ Then we prayerfully ask our Savior to take from us the fearful emotional burdens that are creating so much hopelessness and pain in our lives” (p. 23). It is a helpful way to identify specific worries that we have and to realize that we can trust God to help us through all of those concerns. I have used the same concept to make a guilt list. When I felt overwhelmed with guilt that I had over a damaged relationship with a loved one, I made a list for all of my guilt. For each item on the list, I honestly asked myself if there were any changes I could make to improve that area of the relationship. For any items on my list that I had already changed or that I had no control over, I prayed that my Savior would take away the guilt that I felt for them. I also used the same pattern to write a blame list. I used that list to let go of blame that I had toward a loved one that had hurt me. I believe that making lists for all of our negative emotions can help us identify our feelings, process them, and give these difficult emotions to Jesus Christ to carry for us. Healing Through Christ has changed my life because it has taught me how to let Jesus Christ change me. I have an increased love for others, and I feel my Savior’s love for me more abundantly. I’m very grateful for the applications I’ve been able to make in my life as I’ve learned more about my own worth and how to have better relationships with others. I love Jesus Christ, and I know that He is so eager to heal our broken hearts. I’m grateful for His perfect love. Almost 2 years ago things started going wrong with my body. I kept going to my doctor and he kept telling me that the different things going wrong were just due to aging! I just could not accept his statements. I started resisting and resenting aging! I fought against it with every fiber of my being. And I started speaking negative statements about my physical situations. I felt my body had betrayed me. I was in such pain I no longer wanted to live. At that moment my eyes were opened and I realized that I had been creating a very negative world for myself. I asked God to forgive me and started accepting that aging is part of life’s cycle. Once I applied Step 11 to my life the door opened for a new doctor and a diagnosis of an immune disorder. My life changed! I got the treatment necessary to help me with the immune disorder and help with the migraines! I still have challenges that are not fun, but I am accepting the challenges without the resentment or resistance. I am so grateful for the Healing Through Christ support groups. They have brought me through a very dark valley into the light of Heavenly Father’s will for me. I have applied the attitude of gratitude that President Monson so often spoke to us about in conference. I am grateful for even this challenge. Being GRATEFUL has helped me to move through darkness and actually see some spiritual growth in my life. My life has become more manageable, joyful and hopeful. I have often labeled myself and been labeled by others as a “perfectionist.” As a teenager, I considered this a compliment with a caveat. I no longer consider it a compliment but see it as a character flaw stemming from pride, and a lack of true understanding of God’s grand plan of happiness. This particular source of pride has been a direct cause of debilitating depression for me. Perfectionism in my life ultimately stems from a lack of faith in the Savior’s atonement. I may think that my intentions are good because I am trying to keep all of the commandments with exactness, but actually when I am in perfectionist mode, I don’t want to need a Savior. I don’t want to accept that someone else had to suffer for me. This may seem selfless, but I have come to recognize it as ghastly pride disguised as a close counterfeit to humility. The mentality of doing it myself is rejecting the Savior’s suffering for me. It is actually a mentality that comes dangerously close to the plan that Lucifer proposed in the premortal council. Live perfectly and give the glory to myself, rather than relying upon my Savior’s perfect love and glorify God. Recently I had a rather bad case of perfectionism. My intentions were initially good. I wanted to try my very best to live by every word from the mouth of God. This is a good desire! Where I went wrong was my response when I realized that it was virtually impossible for me to accomplish this task without failure. Instead of turning to the Lord when I became completely overwhelmed by the task, I turned inward and felt bitter. I lost sight of the enabling power of Jesus Christ and instead thought if I can’t do it, how could the Savior ever do it. The Lord wisely let me struggle in this miserable state for a period of time. After much studying and pondering and wise counsel from my mother, I rejoiced when on Christmas Eve I caught a glimpse of God’s pure love for me in giving me the gift of His son. My heart felt to sing the song of redeeming love that Alma talks about. Nothing is as humbling to me as realizing my complete dependency upon my Savior. And this realization is always accompanied by a realization of his overwhelming love for me, a sinner. I’ve been thinking a lot recently about faith and fear. One of my biggest fears is heights: a fear that I had to face and overcome quickly during the fire academy. During our firefighter survival training we learned how to bail out a window using just a single rope. To do this, you have to wrap the rope around you and get one leg up and over the window sill. Next you lean forward and start falling head first out the window until you can clear your other leg and turn yourself upright again. Needless to say, it was terrifying. In learning and practicing these things, I came to trust my equipment, my fellow firefighters, and myself. This trust didn’t take away my fear, but it gave me the strength to push through it anyway. By far, the hardest decision I’ve ever made is which path I wanted to be on with regards to my faith. I don’t profess to have the right answers, or that the decisions I have made are the right decisions for anyone else’s path. For me in my life, I chose to stay in the church after having a very tumultuous crisis of faith. And at times I still find myself paralyzed by thoughts of what the future holds and if it’s actually feasible to continue in my faith in light of the fact that I am gay. But I’ve found my faith grow deeper in those times of trusting God enough to move forward anyway despite not knowing. I made the choice to stay, but that doesn’t take away my feelings. And it makes my very soul ache to think about the true implications of my decision. My faith is more important to me than anything, but I would be lying if I said that it wasn’t a devastating decision to chose not “act on” my feelings. In those times I really have to step back and say, I don’t know. I don’t know the answers. I don’t know if I’m going to survive jumping out of this window. But I have come to learn that I can trust my rope. I can trust my Heavenly Father. I have found my strength renewed time and time again by living the gospel. It has brought an indescribable peace to my soul that I wouldn’t trade for anything. I came to the 12-steps about a decade ago, as I helped an addicted loved one enter a year-long rehab program. His addiction had been going on for several years, and (as I later learned), my co-dependence preceded the addiction by years before that. What I thought was a plan to “support” my loved one in recovery because a journey of discovery for myself. I came to understand that I had my own issues to confront. In that first year, my addicted loved one and I walked on similar, but very different, paths. We both worked the steps. I even attended family sessions at his rehab facility. But each of us had unique burdens we carried, unique weaknesses to have removed, unique amends to make as the time came. A decade later, both my addicted loved one and I live in recovery. And we both recognize that we do so one day at a time, grateful for where we are today. I have come to rely on regular step work to keep me on the path of recovery from my addiction to control and the destruction that addiction caused in my family. I’m amazed at the grace of the Lord’s atoning sacrifice that allows my life to be better today than it was a decade ago. As I worked the first three steps, summarized simply and well by a friend: “I can’t; He can; I think I’ll let Him,” I came to trust the Lord in ways I never knew I could. I learned to pray to understand His will rather than to dictate my own. I learned to “let go and let God” in matters I knew I could not (or should not) control. I began as an ARP group leader just over 8 years ago, and I have found a wonderful home in my ARP group, where I can continue to learn to live according to the principles of the 12 Steps, and enjoy the continuing blessings which the Savior offers through His atoning sacrifice. The Deseret News is doing a series of stories on people suffering from addiction. This one tells the story of a school superintendent and LDS Bishop struggle to overcome an opiod addiction. I was having a rough day related to concerns with a loved one. I found myself crying frequently and hopelessness was becoming a constant companion. I was able to attend a Step 2 Healing Through Christ Family Support group meeting and the Spirit touched my heart deeply with a couple of thoughts that night. The first one was related to a paragraph under Hope and Expectation that talks about Satan trying to remove hope, but he can’t because it is a lie. So having “no Hope” is a lie. That brought amazing peace and comfort to me. When I think I have lost hope I can remember that the statement is a lie. There is always hope because I believe in Christ. That is an absolute for me, thus I have some hope always and once there is some hope there can be more hope. The second thought I had was related to President Uchtdorf’s quote, “[Hope] is believing and expecting that our prayers will be answered.” Sometimes, like today, I struggle with what that really means. However, in the prior paragraph it talks about surrendering our desires to God’s timetable and trusting in His Plan for me and for my loved ones. All of my plans have to be eliminated, turned over, forgotten. My energy must go into asking for “confidence, optimism, enthusiasm, and patient perseverance” in God’s plan. I am praying for and searching for that “firmly grounded” feeling and trusting what God Can and Will do for me. Someone in our meeting said God’s only agenda each day is us. He does not have an agenda for himself. I want that agenda. I want to be on that team, not my own team with my own agenda. So back to my rough day – I felt the spirit telling me I wasn’t a team player at home. We were turning into competing teams and He wanted me to remember we were a family right now, despite its less than traditional nature. I should be finding the good, not always criticizing and complaining. I felt like He understood how I felt and His council to look for the good was to bring me happiness. He knew the way up and He knew the way out. He knew because He had already felt everything I was feeling but even more He knew a better way. Throughout my life I have struggled with judging others. Sometimes it’s a church member I don’t agree with, a friend who has let me down, a member of my family who is choosing different avenues, or a parent who didn’t give me everything I wanted or felt I needed growing up. The following personal story by Elder W. Craig Zwick has helped me question my judgmental ways. “I had my eyes opened to ‘looking beyond what I could see’ while serving as a mission president. A young elder arrived with apprehension in his eyes. As we met in an interview, he said dejectedly, ‘I want to go home.’ I thought to myself, ‘Well, we can fix this.’ I counseled him to work hard and to pray about it for a week and then call me. A week later, almost to the minute, he called. He still wanted to go home. I again counseled him to pray, to work hard, and to call me in a week. In our next interview, things had not changed. He insisted on going home.